The Annoying Orange is an American comedy web series first broadcast on YouTube in 2009. 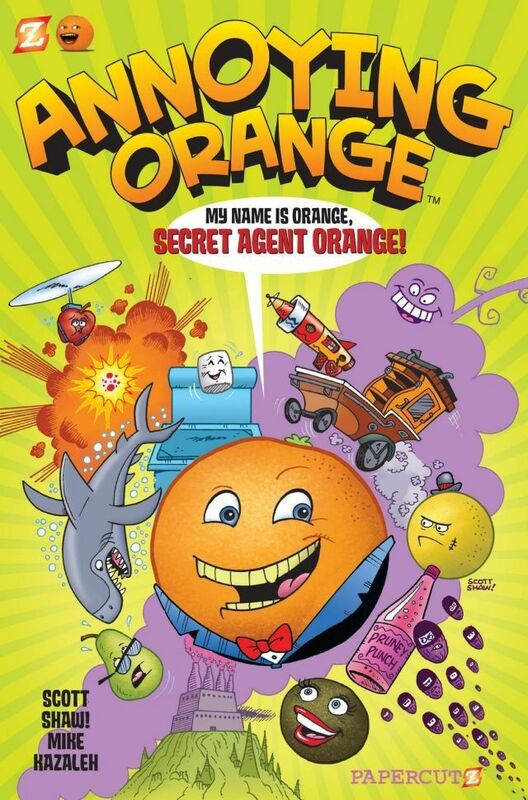 The series is about an anthropomorphic orange who annoys other fruits, vegetables, and various other objects by using jokes. The font used for the logo of the web series is Creative Block BB Bold by Blambot. The comic font family is available in Regular and Bold, and is free for personal use. You can download it for free here. If you do not want to download and install the font but just like to create simple text or logos using The Annoying Orange (web series) Font, just use the text generator below. The following tool will convert your entered text into images using The Annoying Orange (web series) Font, and then you can right-click on the image to save it or click on the "EMBED" button to get links to embed images on the web.